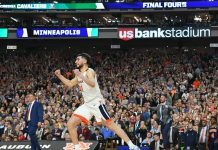 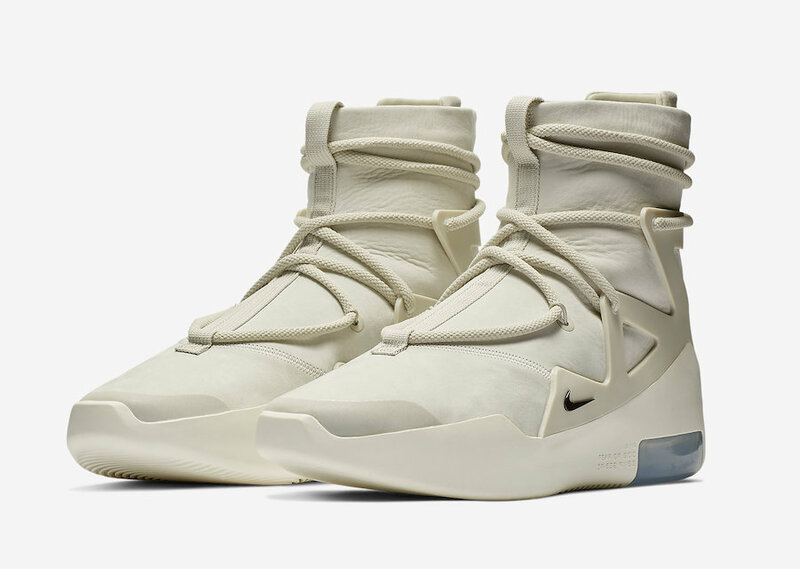 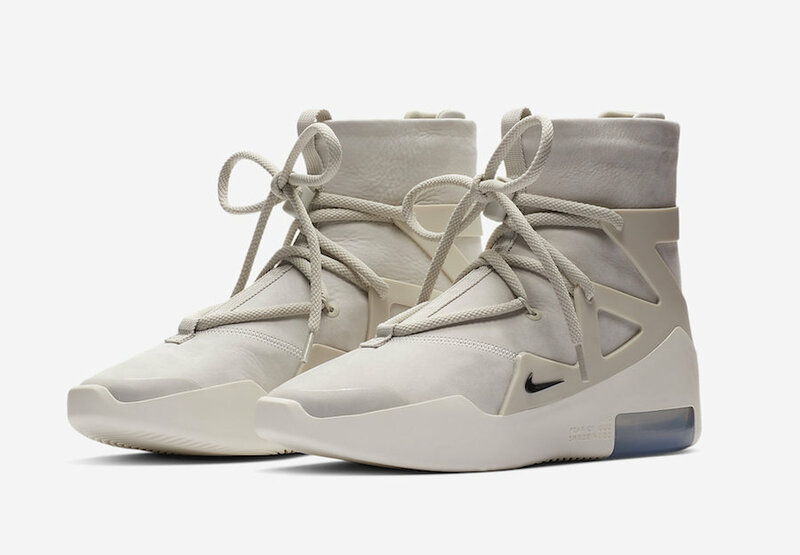 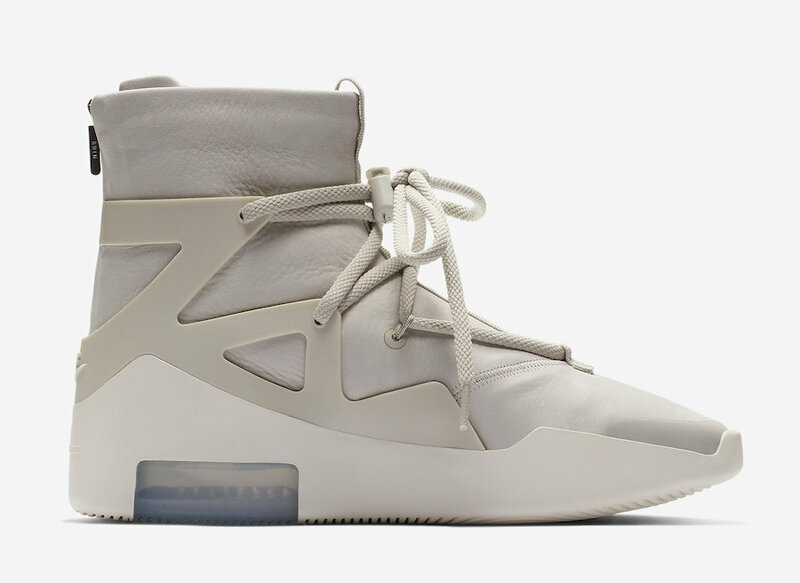 Jerry Lorenzo of Fear of God teamed up with Leo Chang, senior footwear design direction at Nike Basketball to create a high-end luxury take on a high-performance basketball sneaker. 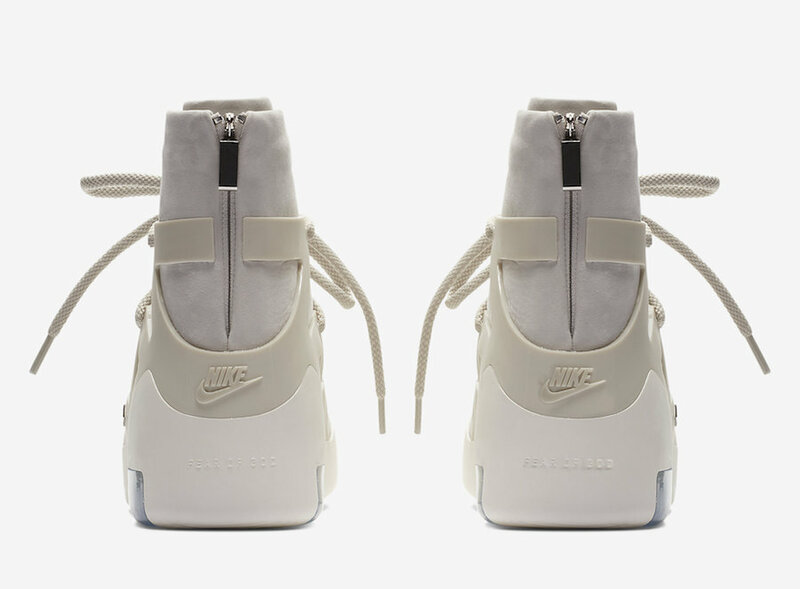 This release comes in a Light Bone iteration, featuring a Light Bone leather upper, a 180 heel unit that resembles the Air Max 18-, an exterior TPU heel and a lacing cage that takes nod to the Air Huarache light. 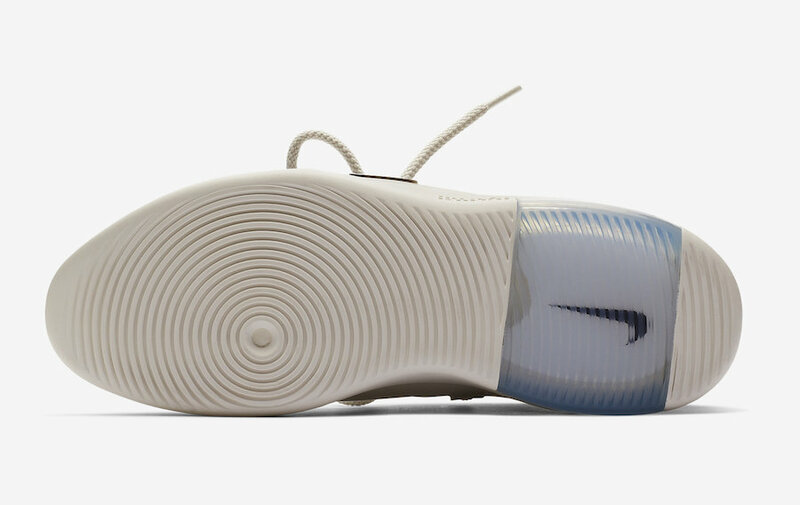 Below are adjusted official photos along with the originals that Jerry wasn’t pleased with due to the staging of the laces in the front pull-tab. 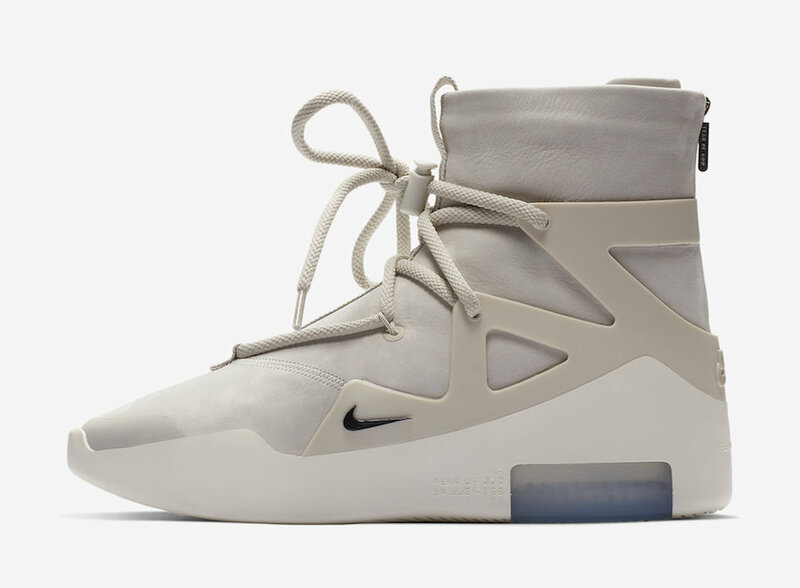 The Nike Air Fear of God 1 “Light Bone” is set to release on December 15th at select retailers, fearofgod.com and Nike.com with the retail price tag of $395 USD. 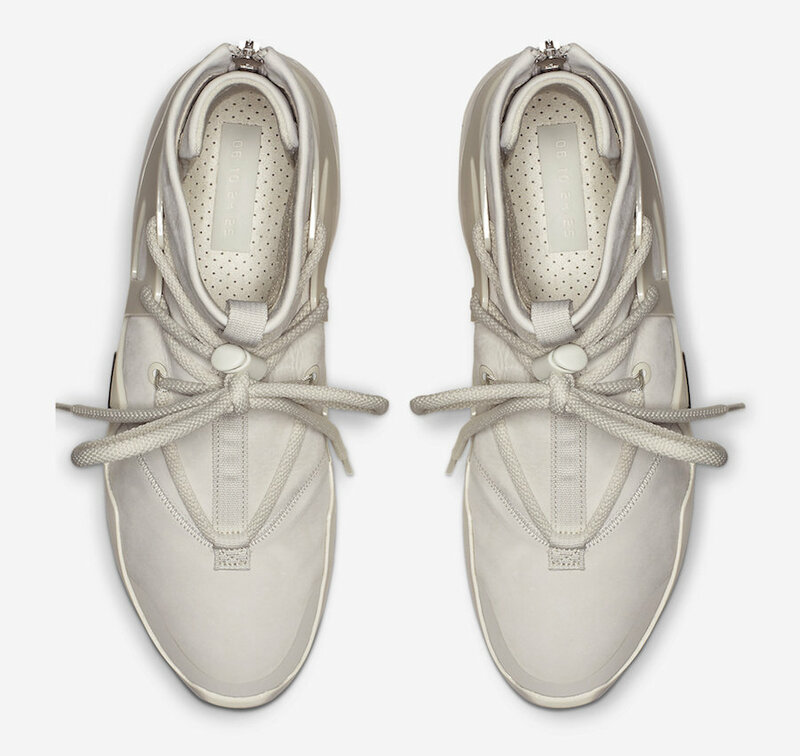 Original-Unofficial photo with laces in the pull tabs.